Keyless Start, Aluminum Wheels, Back-Up Camera, Satellite Radio, Bluetooth, iPod/MP3 Input. LE trim, PULSE exterior and BLUE BLACK interior. FUEL EFFICIENT 40 MPG Hwy/32 MPG City! Warranty 5 yrs/60k Miles - Drivetrain Warranty; READ MORE!KEY FEATURES INCLUDEBack-Up Camera, Satellite Radio, iPod/MP3 Input, Bluetooth, Aluminum Wheels, Keyless Start. Rear Spoiler, MP3 Player, Keyless Entry, Child Safety Locks, Steering Wheel Controls. Toyota LE with PULSE exterior and BLUE BLACK interior features a 4 Cylinder Engine with 106 HP at 6000 RPM*.VEHICLE REVIEWSGreat Gas Mileage: 40 MPG Hwy.VISIT US TODAYAll preowned vehicles are covered by the Lorensen Advantage, including extended warranties and free services. For more information go to www.lorensen.com/lorensen-advantage.Horsepower calculations based on trim engine configuration. Fuel economy calculations based on original manufacturer data for trim engine configuration. Please confirm the accuracy of the included equipment by calling us prior to purchase. CLASSIC SILVER METALLIC exterior and BLACK interior, LE trim. FUEL EFFICIENT 38 MPG Hwy/30 MPG City! WiFi Hotspot, Lane Keeping Assist, ALL-WEATHER FLOOR LINER PACKAGE, Back-Up Camera, iPod/MP3 Input, Smart Device Integration CLICK NOW!KEY FEATURES INCLUDEBack-Up Camera, iPod/MP3 Input, Onboard Communications System, Smart Device Integration, Lane Keeping Assist, WiFi Hotspot MP3 Player, Keyless Entry, Remote Trunk Release, Child Safety Locks, Steering Wheel Controls.OPTION PACKAGESALL-WEATHER FLOOR LINER PACKAGE cargo tray, All-Weather Floor Liners. Toyota LE with CLASSIC SILVER METALLIC exterior and BLACK interior features a 4 Cylinder Engine with 139 HP at 6100 RPM*.EXPERTS ARE SAYINGGreat Gas Mileage: 38 MPG Hwy.BUY FROM AN AWARD WINNING DEALERAll preowned vehicles are covered by the Lorensen Advantage, including extended warranties and free services. For more information go to www.lorensen.com/lorensen-advantage.Horsepower calculations based on trim engine configuration. Fuel economy calculations based on original manufacturer data for trim engine configuration. Please confirm the accuracy of the included equipment by calling us prior to purchase. BLUE CRUSH METALLIC exterior and BLACK interior, SE trim. EPA 35 MPG Hwy/28 MPG City! CD Player, ALL-WEATHER FLOOR LINER PACKAGE, Aluminum Wheels, Back-Up Camera, Bluetooth, iPod/MP3 Input. SEE MORE!KEY FEATURES INCLUDEBack-Up Camera, iPod/MP3 Input, Bluetooth, CD Player, Aluminum Wheels Rear Spoiler, MP3 Player, Remote Trunk Release, Keyless Entry, Child Safety Locks.OPTION PACKAGESALL-WEATHER FLOOR LINER PACKAGE cargo tray, All-Weather Floor Liners. Toyota SE with BLUE CRUSH METALLIC exterior and BLACK interior features a 4 Cylinder Engine with 132 HP at 6000 RPM*.EXPERTS ARE SAYINGGreat Gas Mileage: 35 MPG Hwy.WHY BUY FROM USAll preowned vehicles are covered by the Lorensen Advantage, including extended warranties and free services. For more information go to www.lorensen.com/lorensen-advantage.Horsepower calculations based on trim engine configuration. Fuel economy calculations based on original manufacturer data for trim engine configuration. Please confirm the accuracy of the included equipment by calling us prior to purchase. BLACK SAND PEARL exterior and BLACK interior, SE trim. EPA 35 MPG Hwy/28 MPG City! Lane Keeping Assist, CD Player, ALL-WEATHER FLOOR LINER PACKAGE, Alloy Wheels, Back-Up Camera, Bluetooth, iPod/MP3 Input. CLICK NOW!KEY FEATURES INCLUDEBack-Up Camera, iPod/MP3 Input, Bluetooth, CD Player, Aluminum Wheels, Lane Keeping Assist. Rear Spoiler, MP3 Player, Keyless Entry, Remote Trunk Release, Steering Wheel Controls.OPTION PACKAGESALL-WEATHER FLOOR LINER PACKAGE cargo tray, All-Weather Floor Liners (2T). Toyota SE with BLACK SAND PEARL exterior and BLACK interior features a 4 Cylinder Engine with 132 HP at 6000 RPM*.EXPERTS RAVEGreat Gas Mileage: 35 MPG Hwy.MORE ABOUT USAll preowned vehicles are covered by the Lorensen Advantage, including extended warranties and free services. For more information go to www.lorensen.com/lorensen-advantage.Horsepower calculations based on trim engine configuration. Fuel economy calculations based on original manufacturer data for trim engine configuration. Please confirm the accuracy of the included equipment by calling us prior to purchase. Sunroof, ALL-WEATHER FLOOR LINER PACKAGE, SE PREMIUM PACKAGE, Back-Up Camera, Alloy Wheels. SUPER WHITE exterior and BLACK interior, SE trim. FUEL EFFICIENT 35 MPG Hwy/28 MPG City! Warranty 5 yrs/60k Miles - Drivetrain Warranty; CLICK ME!KEY FEATURES INCLUDEBack-Up Camera, Aluminum Wheels. Rear Spoiler, Remote Trunk Release, Steering Wheel Controls, Child Safety Locks, Electronic Stability Control.OPTION PACKAGESSE PREMIUM PACKAGE Smart Key System w/Push Button Start, panic and trunk releases, Tilt & Slide Moonroof, sliding sunshade, Radio: Entune Audio Plus w/Connected Navigation, Entune multimedia bundle (7 high resolution touch-screen display, AM/FM CD player, 6 speakers, auxiliary audio jack, USB 2.0 port w/iPod connectivity and control, advanced voice recognition, hands-free phone capability, phone book access and music streaming via Bluetooth wireless technology), connected navigation Scout GPS link app, Siri Eyes Free, SiriusXM All Access radio w/3-month complimentary trial and Gracenote album cover art, HD radio, HD radio traffic and weather in major metro areas, ALL-WEATHER FLOOR LINER PACKAGE cargo tray, All-Weather Floor Liners. Toyota SE with SUPER WHITE exterior and BLACK interior features a 4 Cylinder Engine with 132 HP at 6000 RPM*.VEHICLE REVIEWSGreat Gas Mileage: 35 MPG Hwy.MORE ABOUT USAll preowned vehicles are covered by the Lorensen Advantage, including extended warranties and free services. For more information go to www.lorensen.com/lorensen-advantage.Horsepower calculations based on trim engine configuration. Fuel economy calculations based on original manufacturer data for trim engine configuration. Please confirm the accuracy of the included equipment by calling us prior to purchase. Hybrid LE trim, CLASSIC SILVER METALLIC exterior and BLACK interior. EPA 52 MPG Hwy/53 MPG City! Smart Device Integration, WiFi Hotspot, Lane Keeping Assist, Back-Up Camera, Alloy Wheels, ALL-WEATHER FLOOR LINER PACKAGE SEE MORE!KEY FEATURES INCLUDEBack-Up Camera, Hybrid, iPod/MP3 Input, Onboard Communications System, Aluminum Wheels, Keyless Start, Smart Device Integration, WiFi Hotspot, Lane Keeping Assist. MP3 Player, Keyless Entry, Remote Trunk Release, Steering Wheel Controls, Child Safety Locks.OPTION PACKAGESALL-WEATHER FLOOR LINER PACKAGE cargo tray, All-Weather Floor Liners. Toyota Hybrid LE with CLASSIC SILVER METALLIC exterior and BLACK interior features a 4 Cylinder Engine with 121 HP at 5200 RPM*.EXPERTS ARE SAYINGGreat Gas Mileage: 53 MPG City.BUY FROM AN AWARD WINNING DEALERAll preowned vehicles are covered by the Lorensen Advantage, including extended warranties and free services. For more information go to www.lorensen.com/lorensen-advantage.Horsepower calculations based on trim engine configuration. Fuel economy calculations based on original manufacturer data for trim engine configuration. Please confirm the accuracy of the included equipment by calling us prior to purchase. FUEL EFFICIENT 52 MPG Hwy/53 MPG City! Hybrid LE trim, BLUEPRINT exterior and BLACK interior. Smart Device Integration, WiFi Hotspot, Lane Keeping Assist, Back-Up Camera, Alloy Wheels, ALL-WEATHER FLOOR LINER PACKAGE, Hybrid READ MORE!KEY FEATURES INCLUDEBack-Up Camera, Hybrid, iPod/MP3 Input, Onboard Communications System, Aluminum Wheels, Keyless Start, Smart Device Integration, WiFi Hotspot, Lane Keeping Assist. MP3 Player, Keyless Entry, Remote Trunk Release, Steering Wheel Controls, Child Safety Locks.OPTION PACKAGESALL-WEATHER FLOOR LINER PACKAGE cargo tray, All-Weather Floor Liners. Toyota Hybrid LE with BLUEPRINT exterior and BLACK interior features a 4 Cylinder Engine with 121 HP at 5200 RPM*.EXPERTS ARE SAYINGGreat Gas Mileage: 53 MPG City.BUY FROM AN AWARD WINNING DEALERAll preowned vehicles are covered by the Lorensen Advantage, including extended warranties and free services. For more information go to www.lorensen.com/lorensen-advantage.Horsepower calculations based on trim engine configuration. Fuel economy calculations based on original manufacturer data for trim engine configuration. Please confirm the accuracy of the included equipment by calling us prior to purchase. FUEL EFFICIENT 31 MPG Hwy/27 MPG City! XLE trim, BLACK SAND PEARL exterior and BLACK interior. Cross-Traffic Alert, Blind Spot Monitor, Lane Keeping Assist, Brake Actuated Limited Slip Differential, Back-Up Camera, Alloy Wheels CLICK ME!KEY FEATURES INCLUDEBack-Up Camera, iPod/MP3 Input, Bluetooth, Aluminum Wheels, Keyless Start, Dual Zone A/C, Brake Actuated Limited Slip Differential, Cross-Traffic Alert, Blind Spot Monitor, Lane Keeping Assist. Rear Spoiler, Keyless Entry, Child Safety Locks, Steering Wheel Controls, Electronic Stability Control.OPTION PACKAGESRADIO: ENTUNE 3.0 AUDIO PLUS W/APP SUITE high DCM, 17mm, T1, USB port and 6-speaker audio system (all destinations). Toyota XLE with BLACK SAND PEARL exterior and BLACK interior features a 4 Cylinder Engine with 144 HP at 6100 RPM*.VEHICLE REVIEWSGreat Gas Mileage: 31 MPG Hwy.MORE ABOUT USAll preowned vehicles are covered by the Lorensen Advantage, including extended warranties and free services. For more information go to www.lorensen.com/lorensen-advantage.Horsepower calculations based on trim engine configuration. Fuel economy calculations based on original manufacturer data for trim engine configuration. Please confirm the accuracy of the included equipment by calling us prior to purchase. FUEL EFFICIENT 39 MPG Hwy/28 MPG City! GALACTIC AQUA MICA exterior and MACADAMIA interior, LE trim. Smart Device Integration, Lane Keeping Assist, Back-Up Camera, ALL-WEATHER FLOOR LINER PACKAGE, Aluminum Wheels, WiFi Hotspot AND MORE!KEY FEATURES INCLUDEBack-Up Camera, iPod/MP3 Input, Onboard Communications System, Aluminum Wheels, WiFi Hotspot, Smart Device Integration, Lane Keeping Assist MP3 Player, Remote Trunk Release, Keyless Entry, Steering Wheel Controls, Child Safety Locks.OPTION PACKAGESALL-WEATHER FLOOR LINER PACKAGE all-weather floor liners and cargo tray. Toyota LE with GALACTIC AQUA MICA exterior and MACADAMIA interior features a 4 Cylinder Engine with 203 HP at 6600 RPM*.EXPERTS REPORTOn the highway, the Camry is comfortable and compliant. The Camry's big, comfortable seats, smooth ride and powerful climate control mean a pleasant experience for passengers of most sizes. -Edmunds.com. Great Gas Mileage: 39 MPG Hwy.WHY BUY FROM USAll preowned vehicles are covered by the Lorensen Advantage, including extended warranties and free services. For more information go to www.lorensen.com/lorensen-advantage.Horsepower calculations based on trim engine configuration. Fuel economy calculations based on original manufacturer data for trim engine configuration. Please confirm the accuracy of the included equipment by calling us prior to purchase. SUPER WHITE exterior and ASH interior, LE trim. FUEL EFFICIENT 39 MPG Hwy/28 MPG City! WiFi Hotspot, Smart Device Integration, Lane Keeping Assist, Alloy Wheels, ALL-WEATHER FLOOR LINER PACKAGE, Back-Up Camera, iPod/MP3 Input SEE MORE!KEY FEATURES INCLUDEBack-Up Camera, iPod/MP3 Input, Onboard Communications System, Aluminum Wheels, WiFi Hotspot, Smart Device Integration, Lane Keeping Assist. MP3 Player, Remote Trunk Release, Keyless Entry, Steering Wheel Controls, Child Safety Locks.OPTION PACKAGESALL-WEATHER FLOOR LINER PACKAGE all-weather floor liners and cargo tray. Toyota LE with SUPER WHITE exterior and ASH interior features a 4 Cylinder Engine with 203 HP at 6600 RPM*.EXPERTS ARE SAYINGEdmunds.com's review says On the highway, the Camry is comfortable and compliant. The Camry's big, comfortable seats, smooth ride and powerful climate control mean a pleasant experience for passengers of most sizes.. Great Gas Mileage: 39 MPG Hwy.MORE ABOUT USAll preowned vehicles are covered by the Lorensen Advantage, including extended warranties and free services. For more information go to www.lorensen.com/lorensen-advantage.Horsepower calculations based on trim engine configuration. Fuel economy calculations based on original manufacturer data for trim engine configuration. Please confirm the accuracy of the included equipment by calling us prior to purchase. MIDNIGHT BLACK METALLIC exterior and ASH interior, SE trim. FUEL EFFICIENT 39 MPG Hwy/28 MPG City! Lane Keeping Assist, WiFi Hotspot, Alloy Wheels, Back-Up Camera, iPod/MP3 Input, Smart Device Integration. AND MORE!KEY FEATURES INCLUDEBack-Up Camera, iPod/MP3 Input, Onboard Communications System, Aluminum Wheels, Smart Device Integration, WiFi Hotspot, Lane Keeping Assist Rear Spoiler, MP3 Player, Keyless Entry, Remote Trunk Release, Child Safety Locks. Toyota SE with MIDNIGHT BLACK METALLIC exterior and ASH interior features a 4 Cylinder Engine with 203 HP at 6600 RPM*.EXPERTS ARE SAYINGEdmunds.com explains On the highway, the Camry is comfortable and compliant. The Camry's big, comfortable seats, smooth ride and powerful climate control mean a pleasant experience for passengers of most sizes.. Great Gas Mileage: 39 MPG Hwy.VISIT US TODAYAll preowned vehicles are covered by the Lorensen Advantage, including extended warranties and free services. For more information go to www.lorensen.com/lorensen-advantage.Horsepower calculations based on trim engine configuration. Fuel economy calculations based on original manufacturer data for trim engine configuration. Please confirm the accuracy of the included equipment by calling us prior to purchase. SE trim, MIDNIGHT BLACK exterior and BLACK interior. EPA 39 MPG Hwy/28 MPG City! Smart Device Integration, Lane Keeping Assist, Back-Up Camera, ALL-WEATHER FLOOR LINER PACKAGE, Alloy Wheels, WiFi Hotspot, iPod/MP3 Input SEE MORE!KEY FEATURES INCLUDEBack-Up Camera, iPod/MP3 Input, Onboard Communications System, Aluminum Wheels, WiFi Hotspot, Smart Device Integration, Lane Keeping Assist. Rear Spoiler, MP3 Player, Keyless Entry, Remote Trunk Release, Steering Wheel Controls.OPTION PACKAGESALL-WEATHER FLOOR LINER PACKAGE all-weather floor liners and cargo tray. Toyota SE with MIDNIGHT BLACK exterior and BLACK interior features a 4 Cylinder Engine with 203 HP at 6600 RPM*.EXPERTS REPORTEdmunds.com's review says On the highway, the Camry is comfortable and compliant. The Camry's big, comfortable seats, smooth ride and powerful climate control mean a pleasant experience for passengers of most sizes.. Great Gas Mileage: 39 MPG Hwy.OUR OFFERINGSAll preowned vehicles are covered by the Lorensen Advantage, including extended warranties and free services. For more information go to www.lorensen.com/lorensen-advantage.Horsepower calculations based on trim engine configuration. Fuel economy calculations based on original manufacturer data for trim engine configuration. Please confirm the accuracy of the included equipment by calling us prior to purchase. GALACTIC AQUA MICA exterior and ASH interior, SE trim. FUEL EFFICIENT 39 MPG Hwy/28 MPG City! Smart Device Integration, Lane Keeping Assist, Back-Up Camera, ALL-WEATHER FLOOR LINER PACKAGE, Alloy Wheels, WiFi Hotspot. AND MORE!KEY FEATURES INCLUDEBack-Up Camera, iPod/MP3 Input, Onboard Communications System, Aluminum Wheels, WiFi Hotspot, Smart Device Integration, Lane Keeping Assist Rear Spoiler, MP3 Player, Keyless Entry, Remote Trunk Release, Steering Wheel Controls.OPTION PACKAGESALL-WEATHER FLOOR LINER PACKAGE all-weather floor liners and cargo tray. Toyota SE with GALACTIC AQUA MICA exterior and ASH interior features a 4 Cylinder Engine with 203 HP at 6600 RPM*.EXPERTS ARE SAYINGEdmunds.com's review says On the highway, the Camry is comfortable and compliant. The Camry's big, comfortable seats, smooth ride and powerful climate control mean a pleasant experience for passengers of most sizes.. Great Gas Mileage: 39 MPG Hwy.OUR OFFERINGSAll preowned vehicles are covered by the Lorensen Advantage, including extended warranties and free services. For more information go to www.lorensen.com/lorensen-advantage.Horsepower calculations based on trim engine configuration. Fuel economy calculations based on original manufacturer data for trim engine configuration. Please confirm the accuracy of the included equipment by calling us prior to purchase. CELESTIAL SILVER exterior and BLACK interior, SE trim. Smart Device Integration, Lane Keeping Assist, WiFi Hotspot, Alloy Wheels, ALL-WEATHER FLOOR LINER PACKAGE, Onboard Communications System. FUEL EFFICIENT 39 MPG Hwy/28 MPG City! CLICK ME!KEY FEATURES INCLUDEBack-Up Camera, iPod/MP3 Input, Onboard Communications System, Aluminum Wheels, WiFi Hotspot, Smart Device Integration, Lane Keeping Assist. MP3 Player, Keyless Entry, Remote Trunk Release, Steering Wheel Controls, Child Safety Locks.OPTION PACKAGESNIGHTSHADE SPECIAL EDITION PACKAGE black wheels, Black Window Molding, Black Rear Spoiler, Black Rear Badges, Black Shark-Fin Antenna, Black Mirror Caps, Black Door Handles, ALL-WEATHER FLOOR LINER PACKAGE all-weather floor liners and cargo tray. Toyota SE with CELESTIAL SILVER exterior and BLACK interior features a 4 Cylinder Engine with 203 HP at 6600 RPM*.VEHICLE REVIEWSEdmunds.com's review says On the highway, the Camry is comfortable and compliant. The Camry's big, comfortable seats, smooth ride and powerful climate control mean a pleasant experience for passengers of most sizes.. Great Gas Mileage: 39 MPG Hwy.BUY FROM AN AWARD WINNING DEALERAll preowned vehicles are covered by the Lorensen Advantage, including extended warranties and free services. For more information go to www.lorensen.com/lorensen-advantage.Horsepower calculations based on trim engine configuration. Fuel economy calculations based on original manufacturer data for trim engine configuration. Please confirm the accuracy of the included equipment by calling us prior to purchase. MAGNETIC GRAY METALLIC exterior and CEMENT GRAY interior, SR trim. Brake Actuated Limited Slip Differential, ALL WEATHER FLOOR LINER & DOOR SILL P... Back-Up Camera, iPod/MP3 Input, CD Player. FUEL EFFICIENT 23 MPG Hwy/20 MPG City! SEE MORE!KEY FEATURES INCLUDEBack-Up Camera, iPod/MP3 Input, Bluetooth, CD Player, Brake Actuated Limited Slip Differential. MP3 Player, Privacy Glass, Steering Wheel Controls, Child Safety Locks, Electronic Stability Control.OPTION PACKAGESALL WEATHER FLOOR LINER & DOOR SILL PROTECTOR PKG Door Sill Protectors. Toyota SR with MAGNETIC GRAY METALLIC exterior and CEMENT GRAY interior features a 4 Cylinder Engine with 159 HP at 5200 RPM*.EXPERTS REPORTGreat Gas Mileage: 23 MPG Hwy.WHO WE AREAll preowned vehicles are covered by the Lorensen Advantage, including extended warranties and free services. For more information go to www.lorensen.com/lorensen-advantage.Horsepower calculations based on trim engine configuration. Fuel economy calculations based on original manufacturer data for trim engine configuration. Please confirm the accuracy of the included equipment by calling us prior to purchase. EPA 48 MPG Hwy/52 MPG City! MAGNETIC GRAY METALLIC exterior and BLACK interior, LE trim. Cross-Traffic Alert, Keyless Start, Lane Keeping Assist, Blind Spot Monitor, All Wheel Drive, Back-Up Camera, ALL-WEATHER FLOOR LINER PACKAGE AND MORE!KEY FEATURES INCLUDEAll Wheel Drive, Back-Up Camera, Hybrid, iPod/MP3 Input, Bluetooth, CD Player, Aluminum Wheels, Keyless Start, Cross-Traffic Alert, Blind Spot Monitor, Lane Keeping Assist Rear Spoiler, MP3 Player, Keyless Entry, Steering Wheel Controls, Child Safety Locks.OPTION PACKAGESALL-WEATHER FLOOR LINER PACKAGE All-Weather Floor Liners, Cargo Liner. Toyota LE with MAGNETIC GRAY METALLIC exterior and BLACK interior features a 4 Cylinder Engine with 121 HP at 5200 RPM*.EXPERTS ARE SAYINGIt provides high fuel economy (more than 50 mpg), a comfortable ride and a versatile cargo area. There's also the argument for peace of mind since Toyota certainly has a long history of making reliable hybrid vehicles. -Edmunds.com. 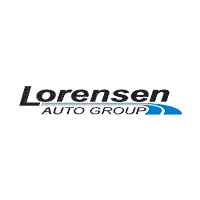 Great Gas Mileage: 52 MPG City.BUY FROM AN AWARD WINNING DEALERAll preowned vehicles are covered by the Lorensen Advantage, including extended warranties and free services. For more information go to www.lorensen.com/lorensen-advantage.Horsepower calculations based on trim engine configuration. Fuel economy calculations based on original manufacturer data for trim engine configuration. Please confirm the accuracy of the included equipment by calling us prior to purchase.